Come and be part of an amazing experience - visit the Hungarian Puszta (part of the Great Plain). First we visit Kecskemét to see the difference between a town in the countryside and the bustling city of Budapest.Kecskemét has an individual image and its downtown recalls the secessionist mood of the past century.We continue to Lajosmizse. On arrival at the farm we taste “barackpálinka” (apricot brandy) as a welcome drink.Before a horseshow we get on a carriage for a ride in the “puszta”. 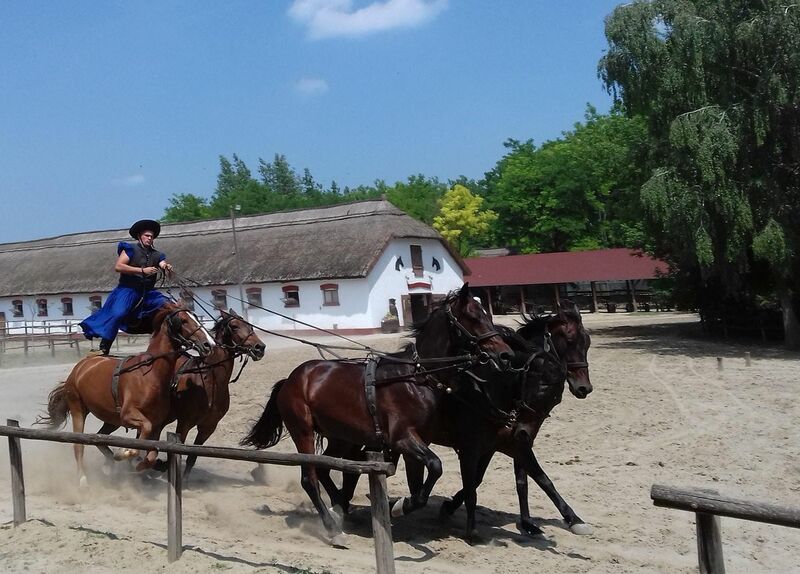 Our program goes on with the heart-breaking attraction of the Hungarian “csikós” (Hungarian horsemen).Then we walk along the stable to see the horses (riding is optional). To make your day complete and memorable - we'll spoil you with delicious country-style lunch including Hungarian goulash (3-course meal with a glass of wine), which will be ‘served’ with authentic gipsy music.Return to Budapest: the tour ends in the city centre. Bosszúállók: Végjáték premier előtt a Sugár Moziban!